Texas is a land of oil, cattle farms, and big cities. There are just as many people moving into Texas as there are people moving out of Texas. If you are moving to Texas, you might be wondering which part of Texas is the best. It can be a really difficult decision trying to determine which city is the best one to call home, but Movingquote.org is here to help you make that decision. In the past we have highlighted some great cities all over the country, but this article will focus on the great city of Houston. Houston came to be in 1836. It was officially incorporated one year later on June 5th 1837. The original home of Houston was on the Buffalo Bayou. This is a river like area that flows over 50 miles through the state of Texas. The city gets its name from a famous General by the name of Sam Houston. To say that Houston is big would be an understatement. 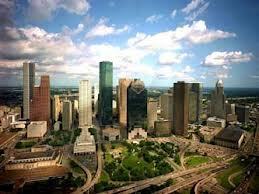 Houston is the largest city in the state of Texas, and it is the fourth largest city in the entire United States. Houston sits on just over 656 square miles of land, and there are over 2.1 million people living in Houston. The Houston metropolitan area has a population of over 6 million people. You can expect to find almost 4000 people per square mile. Houston is big. It is very big! Houston is known all over the world for its oil and natural gas. Houston is also known all over the world for its renewable energy sources. Houston is also home to the Port of Houston. This is the tenth largest port in the world. This is pretty impressive considering that it is 100% man made. It is the highest ranking port in the entire United States in terms of international commerce. This local economy was responsible for 385 billion dollars in 2010. The unemployment rate in Houston is lower than the national average. It is hovering right around 7%. How is the weather in Houston? The weather in Houston can get hot. From May until October, the average temperature is somewhere in the range of the mid 80s. There have been plenty of record breaking highs that have reached well over 100 degrees. If you are looking for a nice white Winter, then you may not get it in Houston. The average low temperature in Winter is in the mid 40s. That does not mean that there have not been record breaking low temperatures that have gone below zero degrees though. It happens, but it is rare. It gets a little warm in Houston. Is there plenty to do in Houston? You will find plenty of fun things to do in Houston. You can’t have a big city without some fun things thrown in the mix. There is no shortage of restaurants, movie theaters, parks and attractions all throughout the city. If you are still not sure if Houston is the right city for you to call home, then there is only one way to find out. Take a vacation to Houston and see if you like the lifestyle. Next post: Is Austin Texas Right For You?